A list of the voters in Kansas Territory's 7th senatorial district, which included Manhattan and the area surrounding it. Voters were categorized as free soilers, proslavery, and doubtful. 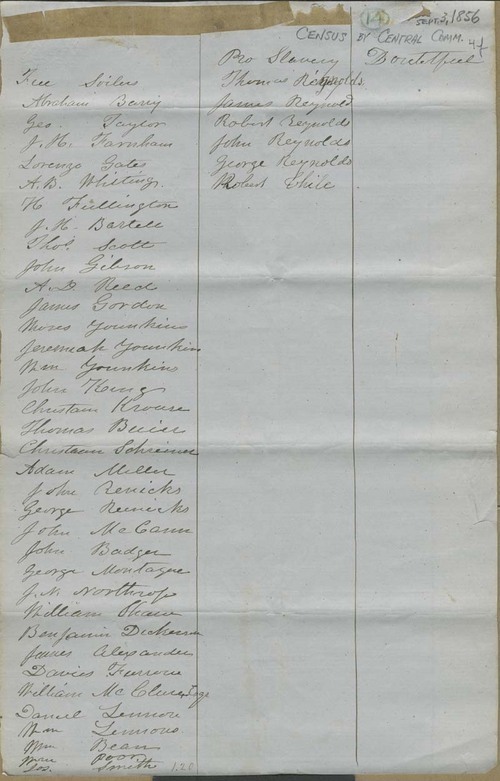 The census was taken by order of the "Central Committee" (a free state group) and was signed by Abraham Barry, Isaac T. Goodnow, and J. D. Adams of District Committee No. 7.